My Comments: This might be good news if it wasn’t so unlikely to happen. According to the January snapshot provided by the Social Security Administration, nearly 41.4 million retired workers are receiving a monthly benefits check from Social Security totaling an average of $1,363. While that may not sound like a lot, Social Security benefits comprise more than half of all monthly income for 61% of retired workers, based on SSA data. Without Social Security, it’s very likely that the poverty rate for seniors would soar, and many would struggle to make ends meet. 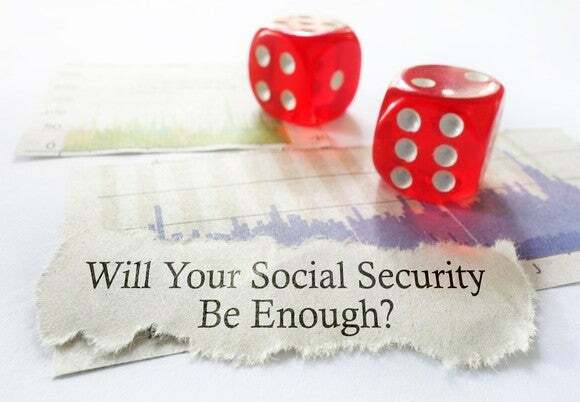 But as many of you also probably know, Social Security is beginning to run into some roadblocks. Two major demographic shifts — the ongoing retirement of baby boomers which is lowering the worker-to-beneficiary ratio, and the lengthening of life expectancies over the past five decades — are weighing on this vital program. According to the 2016 report from the Social Security Board of Trustees, the program will have exhausted its more than $2.8 trillion in spare cash by the year 2034, at which point a benefits cut of up to 21% may be needed on an across-the-board basis. It’s pretty clear from this data that Congress needs to act with some degree of expediency to ensure that Social Security offers a financial foundation during retirement for the many generations of workers to come. However, Congress also has to be careful not to forget about the tens of millions of seniors already receiving Social Security. One of the more contentious battles in Washington is in regards to what should be done (if anything) about Social Security’s cost-of-living adjustments, or COLA. Right now, Social Security’s COLA is tied to the Consumer Price Index for Urban Wage Earners and Clerical Workers (CPI-W). As with any of the CPI variants, it takes into account the price movements of a pre-determined basket of goods and services and compares that year-over-year data. The debate in Washington involves whether or not the CPI-W is the best measure to tie Social Security’s COLA to. According to one Congressman, it’s not. Earlier this month, Rep. John Garamendi (D-Ca.) introduced the CPI-E Act of 2017 into Congress. The sole purpose of the Act introduced by Garamendi would replace the CPI-W with the Consumer Price Index for the Elderly, or CPI-E, in calculating Social Security’s COLA. The CPI-E strictly measures the spending habits of households with people aged 62 and up. Since roughly two-thirds of all Social Security beneficiaries are seniors, switching to the CPI-E would (presumably) be more accurate in representing their spending habits. For instance, according to data found in Garamendi’s press release that accompanied his bill, which already has 24 co-sponsors, the CPI-E rose at an average rate of 3.1% between 1982 and 2011 compared to just 2.9% for the CPI-W over the same time span. In other words, seniors could receive a larger COLA most years with the CPI-E.
Why, you wonder? The CPI-E places a considerably larger emphasis on medical care expenditures and housing costs, which for seniors are often much higher than that of working-age Americans as measured by the CPI-W. Likewise, the CPI-W tends to overemphasize the impact of educational, apparel, transportation, and food expenditures, which just aren’t as important for seniors when compared to working Americans. In recent years, weaker fuel prices at the pump and stagnant food prices have been the main cause of seniors’ weak COLAs. Plus, medical care inflation has outpaced Social Security’s CPI-W-based COLA in 33 of the past 35 years. According to estimates from The Senior Citizens League, had the CPI-E been used in place of the CPI-W over the past 25 years, the average retired worker would have netted an extra $29,600 in payments. For starters, the CPI-E has its shortcomings, too. For example, the CPI-W factors in more households than the CPI-E, meaning that it’s providing more data points and presumably a more accurate picture of what Americans are spending their money on. Also, the CPI-E fails to take into account the rising costs associated with Medicare Part A. Medicare Part A covers in-patient hospital stays, surgical procedures, and long-term skilled nursing care. Even if the CPI-E Act of 2017 were to pass and be signed into law, seniors would likely still fail to keep pace with the true medical care inflation they’re facing. There’s also that not-so-tiny problem about Social Security running out of spare cash between now and 2034. Switching to the CPI-E without any additional revenue generation would mean depleting the Trust’s spare cash at an even faster rate. And, of course, the CPI-E is the complete opposite of what Congressional Republicans are angling for. Rep. Sam Johnson’s (R-Tx.) Social Security Reform Act of 2016, introduced in December, called for a switch to the Chained CPI, which Republicans seem to prefer over the CPI-W. The Chained CPI factors in a consumer behavior known as “substitution,” which the CPI-W does not. The Chained CPI assumes that consumers will trade down to lower-priced goods and services if the goods and services they currently buy become too pricey. Thus, the Chained CPI grows at a slower pace than the CPI-W, which could place seniors in a bigger hole to medical care inflation. Clearly, this isn’t the last we’re going to hear about the COLA debate on Capitol Hill. But, don’t expect COLA reform to happen anytime soon.